The sun has been without sunspots for two days, but that is expected as we are heading to a minimum in the 11-year cycle. 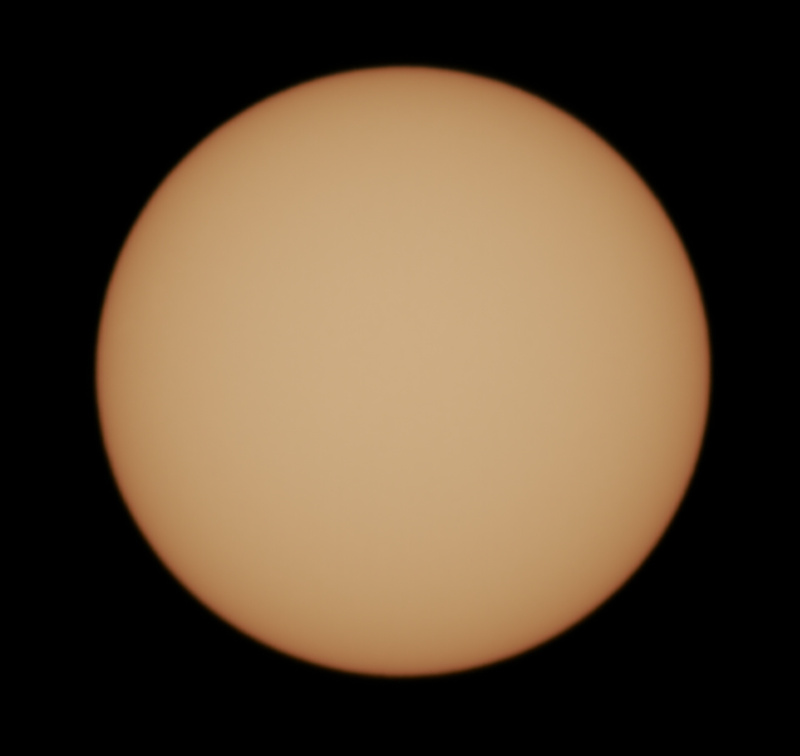 Nevertheless as it was a nice afternoon grabbed the scope and did some observation of the sun. A little of a challenge to focus when there is no contrasting details to base yourself on. This entry was posted in Observing, Photo and tagged Astronomy, Astrophoto, Astrophotography, Sun, Telescope by Benoit Guertin. Bookmark the permalink.